On a grey day in July the blanket of cloud seemed somehow appropriate for our visit to Birkenau and Auschwitz. What is it about sunshine on a sombre shrine that just doesn’t seem right? So we welcomed the pallid covered skies which matched our mood and the history that awaited us. 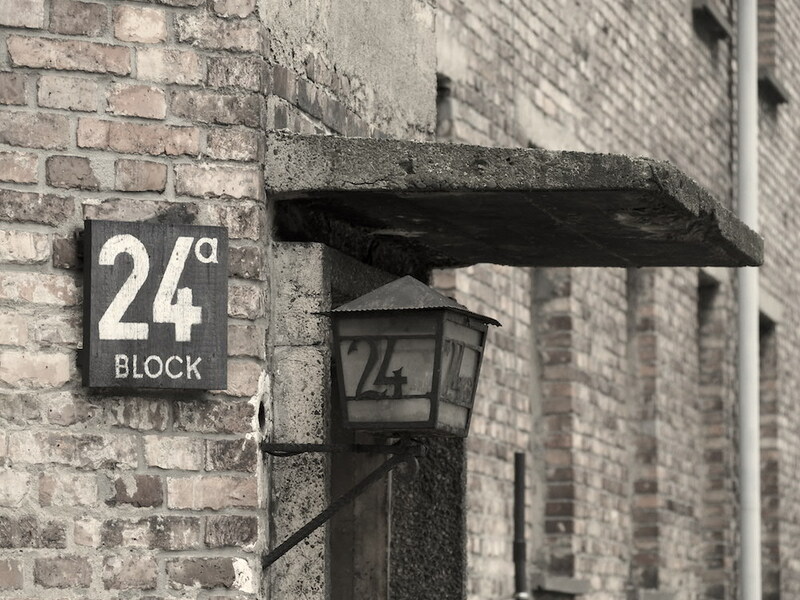 We arrived at Auswchitz II – known as Birkenau, at lunchtime and settled ourselves in a parking area, ideal for campers for the night. And whilst it really was just a car park – it had the backdrop of THE GATE; that strangely iconic yet dark entrance that sealed the fate of so many hundreds of thousands of people, the vision of which stirred up so many emotions in us… And that was before we had even stepped foot inside. 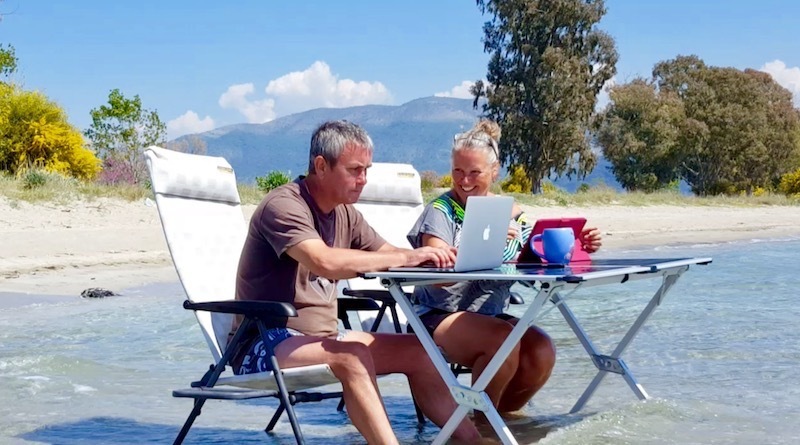 The rain, whilst colouring the landscape in a shade of sobriety, wasn’t hugely inviting, although in a window of dryness we seized our chance and took our first steps. What impact would it have on us? Whilst we had our Treblinka visit a couple of weeks back, our exposure to Europe’s World War Memorials have all had a very different energy to them; after all the victims’ plights were often unique, their battles individual and yet their deaths always united in injustice. We had no doubt that this, the largest of all Camps, would have a very different feeling for us. If you can block out the kaleidoscope of ponchos and umbrellas from the plethora of tourist groups, there is a deep reverence from the second you see the wall of barbed wire. The earth beneath you is a stark reminder of what has been here before and the blood, sweat and tears that were the prisoners’ only companions. Birkenau was haunting, deathly silent and evocative enabling you to find a stillness to reflect, honour and remember the horrors that happened here. There is something so real about the acres that stretch out in front of you with chimneys rising from the earth surrendering their plumes to the heavens above. It is visually dramatic and grabs at your heart as you walk along that railway towards the chambers trying to take in the enormity of events here. 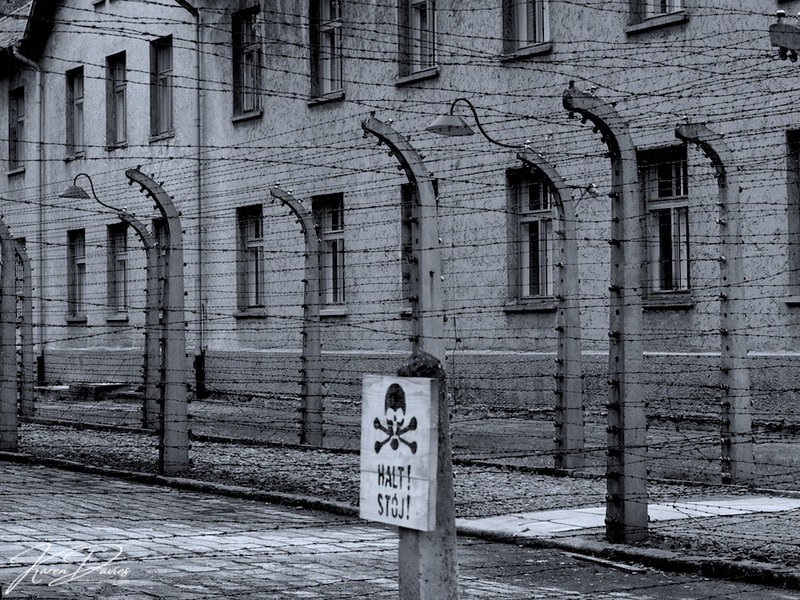 As you pass by the remains of the gas chambers, the stench of dirty smoke still grips the bricks. You question whether it is your imagination although the pungency is unmistakable. And when you see the ashly remains on the pond next door, strangely supporting some sturdy form of plant life, it seems a bizarre co-existence. There was no mistaking the horrors here and it is a memory that will never leave me. The memorial stones, each in a different language beg you to dig deep into your heart and stop a while to remember. The end of the railway, just calls for you to sit and reflect on the lives that ended here as they stepped off onto that fateful platform and it was this moment that touched me so profoundly. Despite the group that was forming around me, as I sat at the end of the line, I found that moment so evocative as I played out the scene like a movie in my mind. Uncertainty, fear, anticipation, ignorance, hopelessness…. And as you entered the damp smelling wooden bunkers that healthy prisoners often had to construct, you were presented with a shocking vision of how 400 men, women and children were stuffed into 28 rows of bunkbeds and expected to live with the anticipation of whether they would even awake with the morning’s sunrise. And as I lay there at night listening to the silence I could have sworn that a ghostly rumble of a train passed by and as every car drove by the camp in the morning’s dawn, the unmistakable sound of them crossing the railway sent a shiver down my spine as I connected to the significance of those tracks. The phrase ‘This is the end of the line’ suddenly took on a completely new meaning and relevance for me. Auschwitz, just about a mile away is strangely a completely different experience. An old Polish Army Barracks that was commandeered by the Nazis is still completely intact. Yet it is more than the look of the place that feels so different to Birkenau. The sad thing to hit you before anything else is the rows upon rows of cars – no haunting gateway – just a caterpillar trail of coaches side by side. This is then exacerbated by the similar caravan-style queues – bored masses looking to get a guided tour ticket not really contemplating the rollercoaster ride ahead of them. The airport-style security didn’t create a feeling of remembrance for me either – not the start I had expected to my Auschwitz trip. I felt herded, untrusted and part of a mob! And this feeling was the one that stayed with me throughout our 90 minute visit. Darting in between groups of multilingual tours, looking for gaps where I could read the thorough information boards with some, any sense of stillness. As an introvert, this environment was incredibly suffocating, even in one of the most powerful places in the world. I craved space to be with my thoughts and connect to the souls who spent their last days/months in this rigid, cold and hostile prison. There’s no doubting that the Auschwitz museum is excellent. The level of detail, shocking photos of the horrors of incarceration and the history that it honours, is outstanding. Although I felt somehow disconnected from it. I’m not sure if it was the groups that depersonalised it for me or that the museum somehow diverted your attention away from the truth and masked the reality. I find it hard to put my experiences into words. Certainly too many people impacted hugely on our experience. We missed out on a large number of the buildings just out of a pure sense of self-preservation. 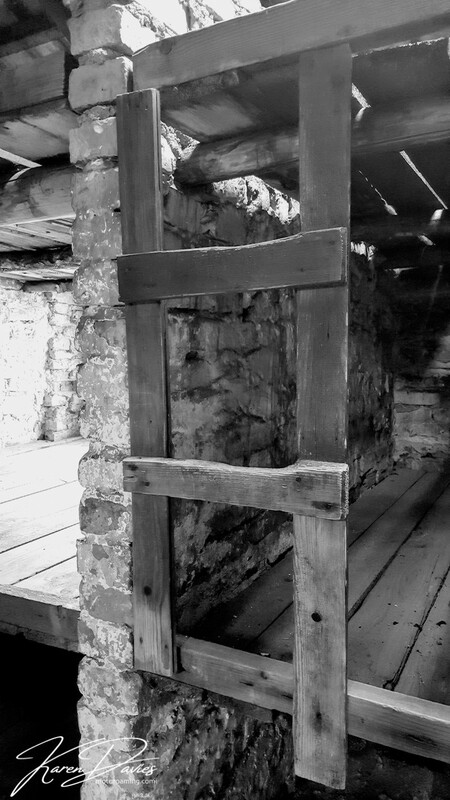 That aside, the most chilling part of our tour was entering one of the gas chambers with its dark, squalid, blackened walls… it was an essential yet a hard experience to grasp. 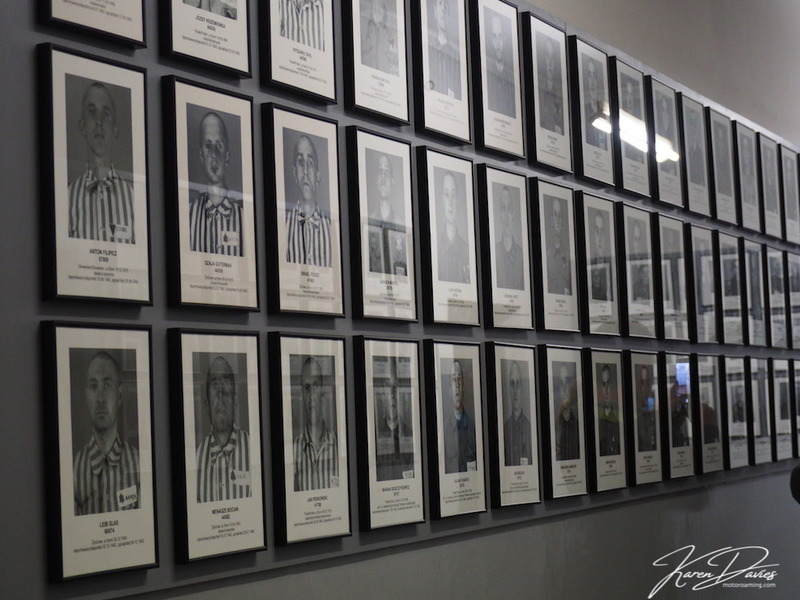 Just for a moment you could get a tiny sense of how prisoners were herded into this place with their last view of life being this deathly hallow. Paradoxically as I stood back to observe how the groups shuffled in, in their droves, I wondered whether anyone had clocked the stark comparison of their procession into the chamber to that of the prisoners. Seventy years before us, Jews and other nationalities in their thousands entered this building each day, their fates sealed. Yet they never had the privilege of walking free. They had no shoes on their feet, nor likely clothes on their backs. Perversely their only liberation from their terror was death. I wonder how many people thought about the gratitude of life and breath walking out on the other side of this hell hole? I’ve read many reports about people’s visits to Auschwitz and had an air of anticipation about our pilgrimage here. After our visit to Treblinka I had a sense of what it might be like for us, although I was determined to find some space to pay my respects and expose myself to this time and place in history. Their memories must be preserved – well this is how it feels for me. I am so glad that we went to Birkenau first as it was the raw, intense emotion that I was expecting. I allowed the tears to flow as I put myself in the shoes of those who arrived here by that deathly train and in small way imagine how they must have been feeling as it dawned on them that there was no ‘resettlement’ Utopia. I am glad, albeit that sounds like a completely inappropriate word to use in this context, to have visited Auschwitz 1 although it was not the experience I was expecting. My conclusion is, if you want to learn about the harrowing lives of prisoners in this Holocaust hell, then Auschwitz will give you an excellent visual portrayal of life in the camp. If LIFE is even the right word to use. 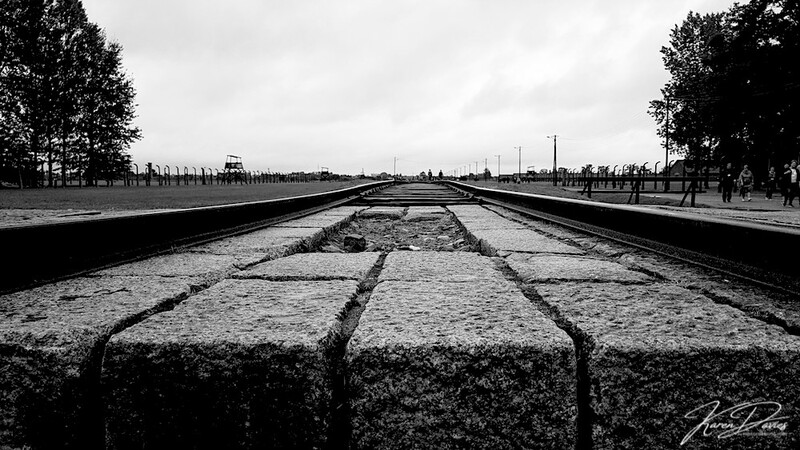 If you want a deeply profound exposure to the rawness where the reality of the Death Camp can be felt hanging in the air like a city smog, then Birkenau is the place to invest more of your time. 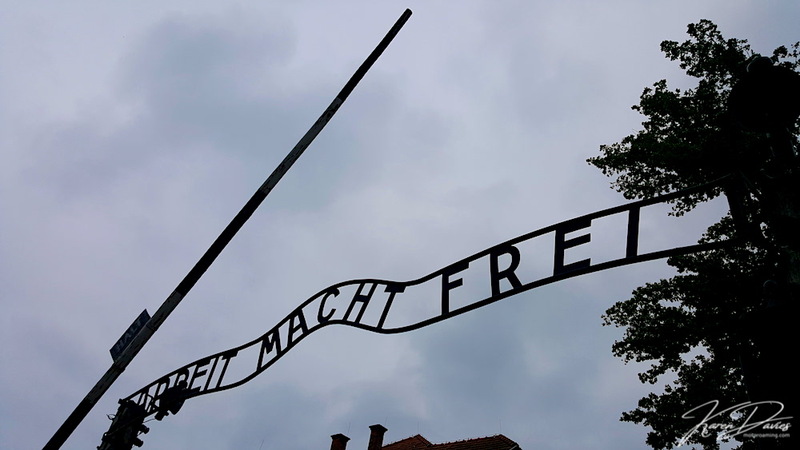 Each of the museums creates a different experience and I think that had we visited Auschwitz first, we may have missed Birkenau, and that for me would have been a tragedy. It had a far more profound impact on me and it was far easier to pay our respects here. What both Camps implore of its visitors is to remember, reflect and honour. It asks of us to live with compassion for our neighbours and to rid ourselves from the condemnation, dominance and judgement that are the floorboards of conflict and war. 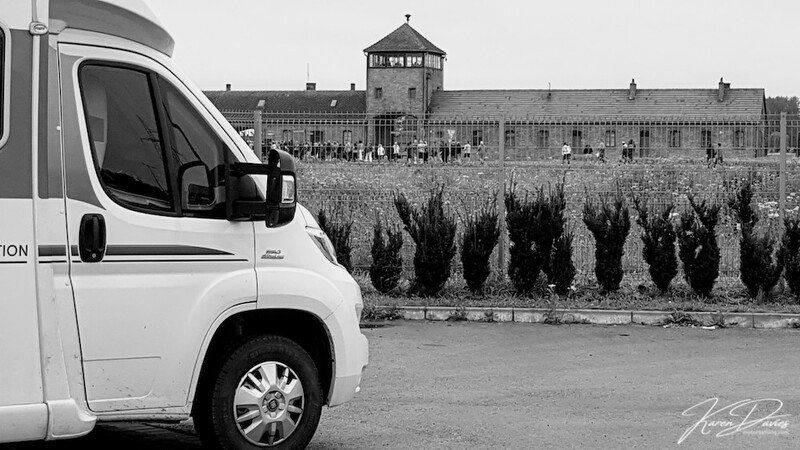 Here are some tips, based on our experiences that might help you to make the most of your visit here and give yourself every opportunity of having the space the Holocaust victims deserve. If you do not want a guided tour, then you can turn up on the day and get one of the limited free tickets. Between 8-10am and 4-7 pm you can ask for a free ticket and avoid the queues. 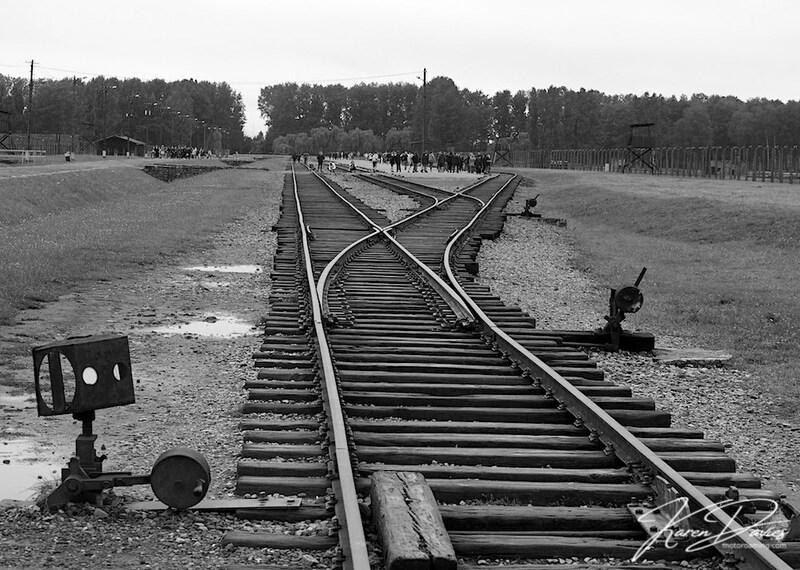 You can visit just Birkenau if you wish and you don’t need to collect a ticket at all. You can simply walk in and take your time around the camp, which has a lot less groups milling around. Do not take in rucksacks into Auschwitz 1 as you will need to pay 4PLN (80p) for it to go in a locker. For Auschwitz don’t queue up on the right-hand side as this is for people who want to pay for a guided tour. Go up to one of the team who are around the entrance and ask for free entrance. They will give you a ticket with a time slot that is the next available period to visit. They have a number of freebies available throughout the day. So whilst you may need to wait, you will get in without queues. 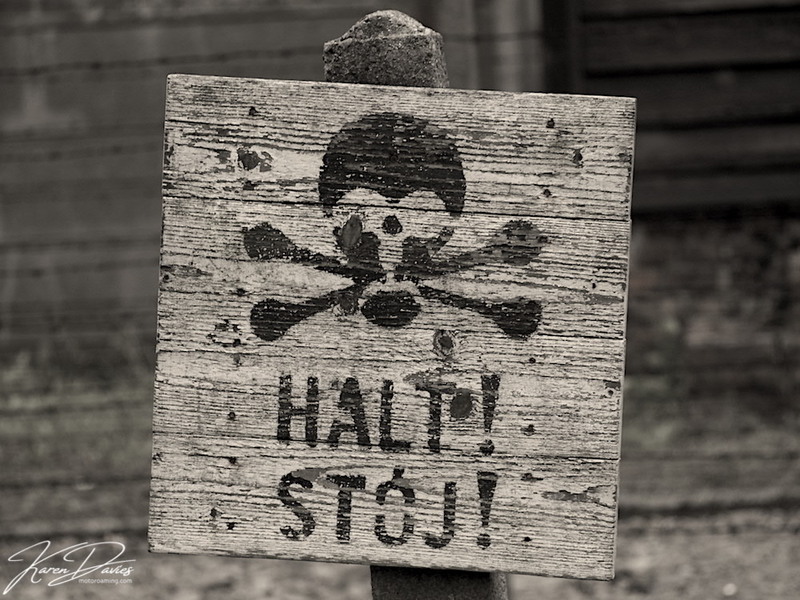 If you can, visit Auschwitz after 4.30pm as there are so many groups that it can make your tour claustropobic. Groups tend to wane at this end of the day as they return to their hotels. 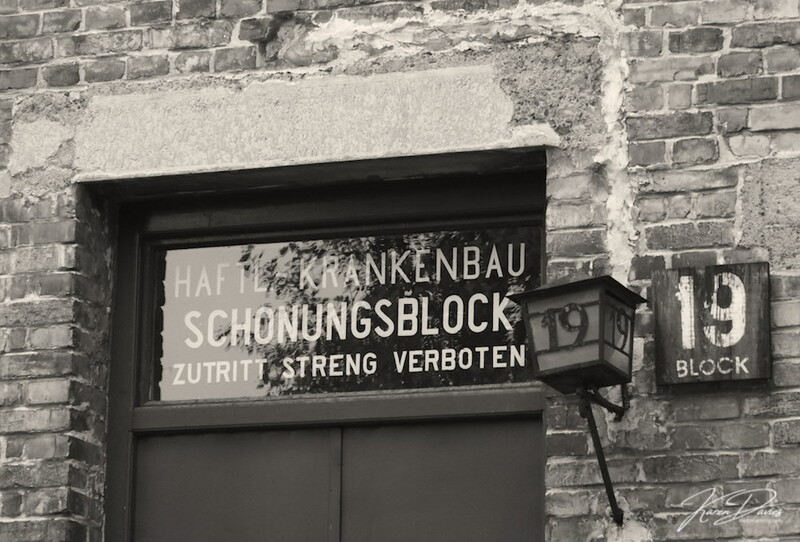 Depending on the time of year you go, (see their website for more detail) Auschwitz is open from 8.00am until between 3.00 in Winter and 7.00pm in Summer. So go early or late to avoid the queues. A tour guide isn’t necessary as all the buildings have very clear and thorough information boards that will enlightening your journey and you can move at your own pace. 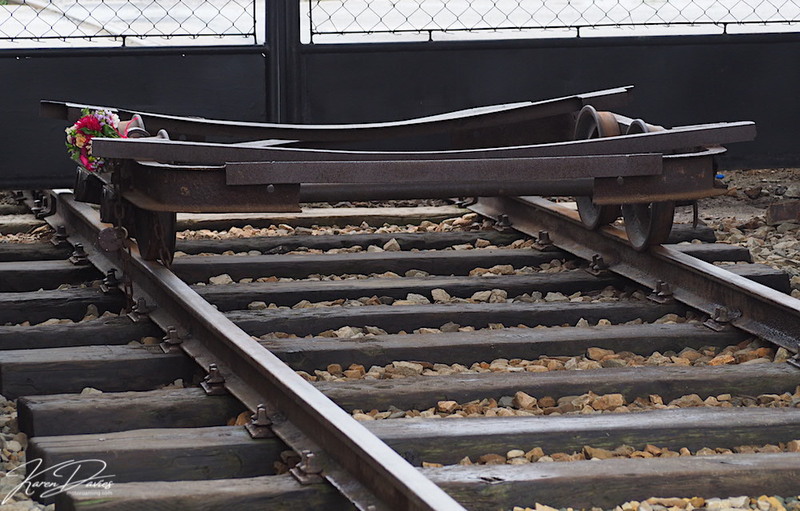 We recommend going to Birkenau first as there are no tickets required for entry and no queues. The acreage is very different to Auschwitz so although you still see crowds they are spread over a much larger area. It is less suffocating and far more personal. You have the space to breath and remember, which is after all one of the reasons we go. 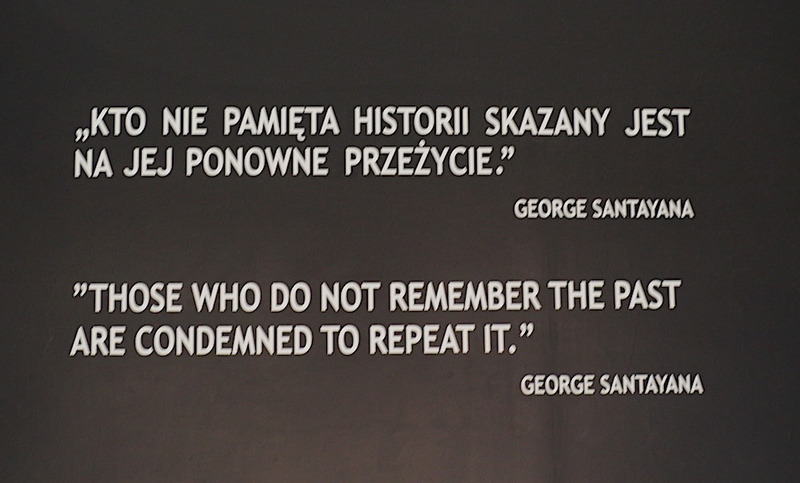 Our conclusions of our Auschwitz experience is that it is a must see and do experience. It feels so important to honour those who lived, died and survived these deathly camps full of horror and persecution. If every person could give a day of their lives to the memory of these souls, our remembrance and compassion for their plight could influence a better world for tomorrow. Thank you for such an informative post. We are intending on touring Poland next spring so all information great fully received. Hi Denise, thank you for your comments. Poland is such a beautiful country, we are falling in love each week we stay. Currently heading towards the Tatras and the Wooden Churches. So much more to come yet. Keep watching. Such a detailed post and so well-written! I can understand that it’s a rather strange experience, yet very educational too!! I love the practical tips at the end of the article, so useful. Thanks for sharing! Powerful, evocative and real. As always, you get right to the heart of places. And I understand what you say about finding a moment of stillness in the crowd to feel and absorb what the sorrow of the place has to teach us. That’s so important. A somber and sobering visit I’m sure. Thanks for sharing, it couldn’t have been easy. wow. such a hard place to visit, but important to do so anyway. You wrote beautifully about it, as well as providing such detailed pictures. This is definitely a place I need to make a priority to see. I visited Auschwitz and Birkenau several years ago. It is an unforgettable experience. I like that you took the photos in black and white. This is a place that I’m afraid to visit. 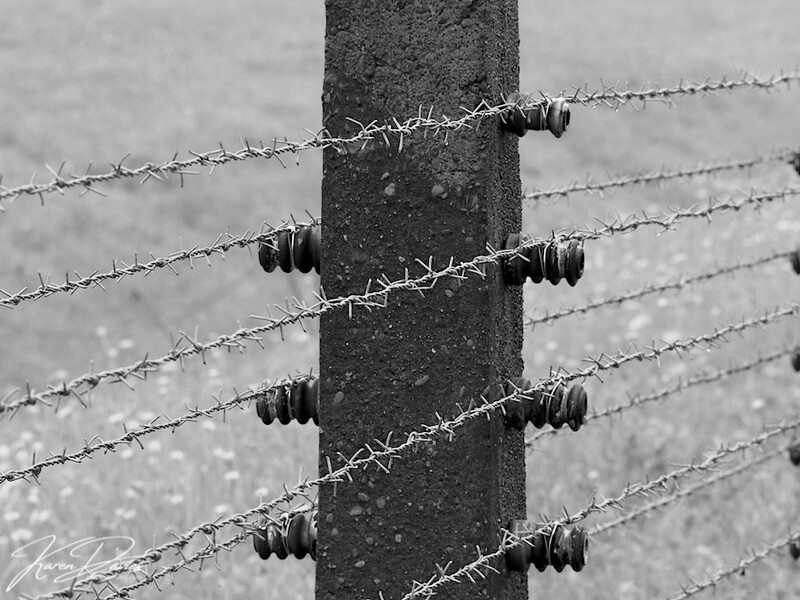 Your photos really capture the inhumanity of the Holocaust. Thank you for sharing your visit. I felt shivers while reading this (for the second time). I looked at your first picture and all I could think was the plants/bushes against the fence are screaming with their hands up. I know my overactive mind. A few years back I helped my daughter-in-law document the story of her Grandmother’s experience in Auschwitz Birkenau. I believe she was at some point in Block 19. May I use your photo in the writeup I did of her? If so, please let me know how you would like me to accredit it. Do you also happen to have something form Block 17, where my own relatives were held? A couple happened to have lived through more than 3 years of hell, while losing more of their family. I was not certain that I wanted to read this article. Such horrors hit me hard. I have had nightmares of being at a place that very closely resembles Auschwitz, of running down wooden stairs at the back of a brick building and trying to escape through a field. I wake up feeling exhausted and panicked, recalling small rooms and stonework and huge wooden structures being built of stairs leading nowhere. I believe, strongly, that forgetting the past is a mistake. You wrote about a difficult subject very well, Karen. The photos are stark and full of feeling. I will never visit in person, I feel like I have already been there. I can only imagine the place feels suffocating.